This is a Mass Effect Andromeda skills page on the singularity skill. 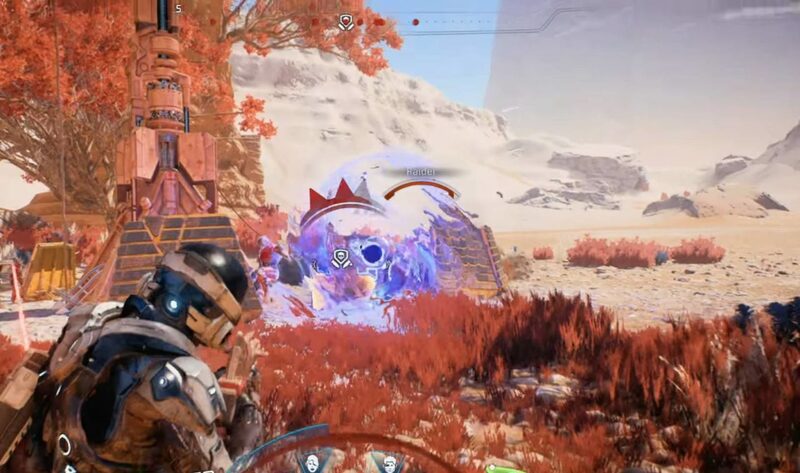 Here you’ll find information about the dangerous skills used in Mass Effect Andromeda. Pictured: Ryder using the skill at some raiders. Singularity 1 1 Tap: Deploys a gravity well, lifting and damaging unshielded and unarmored enemies. Primes enemies for combo detonations. Exploding Singularity 6 6 The singularity explodes after the effect ends, dealing damage in a 7m radius. Expanding Singularity 6 6 Radius expands by 200% over the singularity lifetime. Pictured: singularity working with flamethrower. This ability is best used against groups of enemies. By using this biotic power, you are opening an avenue to use skills like cryo beam and flamethrower on a tight group of enemies.